Sue helped position CANSA as a leading cancer non-profit organisation nationally and internationally. Under her leadership CANSA’s Watchdog Role, Research initiatives and CANSA Seal of Recognition programme were expanded. Sue was a woman of deep passion toward her work and to those around her, especially when it came to cancer. She lead a great team of people who I am hoping will carry the torch in rememberance of her legacy. Sue Janse van Rensburg it is my prayer that Hashem will be reminded of the good you did for others and the kindness you have shown. The world is darker without you. RIP. 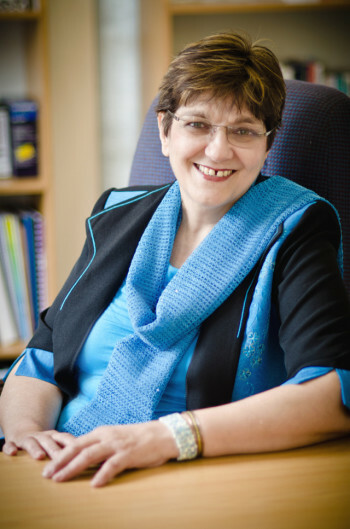 13 March 2015: This morning we lost a great friend and colleague, Sue Janse van Rensburg. Sue faced her inevitable death with great courage and peace. Last Saturday she turned 60. Without Sue’s robust, feisty and concrete support the SA NCD Alliance would not be what it is today. She used her position at CANSA to assist the fledgling SA NCD Alliance in many ways. Most importantly she showed her unfailing belief that it was the right thing to do. We are grateful to Sue and CANSA for that support. True to her giving heart, in the midst of her many challenges, she passed me wise counsel. Sue’s faith was deep and sure. Sue will be missed as a board member of PHANGO. Our condolences to Sue’s sister Bessie, brother, the rest of the family and her many friends. I will never forget the day I invited Sue to address scores of leaders from both private and NGO sectors in Mpumalanga. She shared the stage with Prof Adam Habib. She did an incredible job!! She will be dearly missed. May her soul rest in peace. It is with great sadness that I learn about the passing do Sue. I had the privilege to work with her at CANSA and can attest to the fact that she was a great person with a wonderful soul and a dedicated worker, I am saddened by this news and Sue will forever be part of my life for the wonderful memories and imparting wisdom. RIP Sue, you will be dearly missed. Sue van Rensburg, who passed away on 13 March 2015 was the Manager at Amangwe Village near Kwambonambi in KZN, from May 2004 – June 2006. She served the organisation with great passion and it was under her leadership that the organisation grew and formed new partnerships that were instrumental in the development of the organisation. She was not only a manager but a friend and mother to many. She would never let a child go hungry and many times used her own resources to buy food or clothes for children in need. A ray of sunshine has set too soon. Your smile and personality will live on in my heart . You have fought the good fight. Take thy rest faithful warrior. Thank you so much for this lovely memorial for my Aunt Sue Janse van Rensburg. I was deeply moved by it and I will share it with my family. I will miss my aunt with a passion and so will my family. I was so incredibly proud of her. She was such an example to me and to everyone. She had such an open mind and an open heart towards everyone. She loved God with her whole heart. Aunt Sue was my hero and I will miss her so much. She believed in Jesus and was a great student of the Bible. She believed that death was just a sleep and that even though the dead do not know anything, and have no thoughts and are just resting in their tombs, waiting for the soon return of Jesus in the clouds with many angels, the dead would wake up one day again when Jesus blows His trumpet and shouts and the dead will then at that time receive a brand new perfect healthy body ( Job 7:9,10, Ps.146:4, Eccl. 9:5, 6,10, 1 Thess 4:16-18, 1 Cor 15:51-56,) She told my uncle last week that she would accept whatever was best. She said, “This life is just temporary anyway”. She comforted me when my Mom died, and pointed me up to Jesus. Sue continued to trust God with her life right till the end of her life. I know Sue will live again one day because she accepted Jesus as her personal Savior (John 6:47, John 3:16) Even though it hurts so much to lose her, I know it is just temporary. I want to thank everyone that knew her and that worked with her at CANSA for all your love and support for my aunt. May God bless you as you continue to search for answers to help others with cancer. Any friend of Sue’s is a friend of mine. Thanks once again for this lovely memorial of my Aunt Sue Janse van Rensburg. She will be surely missed by all – was a great honour to meet her !!! RIP Sue !! Dear family, friends and Cansa staff. It is with sadness that I write this message. I greatly admired Sue for her knowlege and abilities. Her warm personality and passion for people. What a lady! A Hard worker and fun personality and child of God. Rest in Peace dear Sue. She will be dearly missed. Sue, was soos ‘n Ma vir ons Snymans, en Ouma vir die kinders. As sy in die Kaap is, dan moes sy altyd vir die kinders persentjies afgee. Haar hart was soos ‘n taxi, altyd plek vir nog een om lief te he en voor om te gee. My laaste gesprek met haar was per SMS nadat sy my laat weet het sy is opgeneem in die hospitaal: “If I don’t see you in the future, I see you in the Pasture”. Daarop se^ ek: Amen. It is with sadness today that I am reading about Sue. We have been colleagues before she joined CANSA and worked with her on several Relay’s For Life as a volunteer.